The author in this chapter talks on how the Corporation i.e. East India Company infiltrated India & slowly engulfed it over time. The English appeared in India not only taking advantage of the collapsed Mughal Empire but also using the artillery power and amorality. It wasn’t just their military might but the way they handled the diplomacy that gave the British an upper hand in making a small trading company take control over such a large territory like India as their colony. But the India they conquered was no barren land but a rich territory which had a share of 23% of the world economy according to their economic historian Angus Maddison. But by the time British left India, it was shrunk to just over 3%. This data alone would prove that British was here not for the development of the region it conquered but for mere financial gains. India was administered by British for the benefit of Britain & it wouldn't be wrong to conclude that its depredations in India financed Britain's rise for 200 years. Tharoor attempts to explain how the British government assisted in Company’s rise by not only providing military and naval resources but even enabling legislations, providing loans from the Bank of England and a very favorable foreign policy making England achieve supremacy in India. He explains in detail how the Company systematically destroyed India’s rich textile industry to a mere status of a raw material exporter and an importer of finished goods closing down the domestic production units. This British monopoly in trade policies drove these artisans to turn to agriculture beyond levels the land could sustain which previously was only a secondary source of income. The stark illustration of the example of Dhaka, the capital of Bangladesh once a great center of muslin production, the population dropped from lakhs to few thousands by 1820’s. The author takes special care to crack almost every arguments of the apologist of the empire with his well-researched data sources. Later Tharoor throws light to the draconian taxation policy that according to the author made “landless farmers” for the first time in India. The company followed different policies for various region throughout the territory, but this rigid taxation system was insensitive to the farmer's plight thanks to the Dual System of Government a brainchild of Clive practiced by British. By this policy, the company need not worry about the condition of the farmers as only the Diwani (fiscal) duties were carried out by the company whereas Nizammat (territorial) jurisdiction and maintenance of the region remained with the Nizam (ruler) again closely monitored by the British. Large scale corruptions, insensitive revenue collection and forced drain of wealth & resources impacted the common and the rich alike causing a price rise in food and other essential commodities. The war expenses along with shipping of workforce further worsened the situation led to famines that were unheard before in India as the rich or the ruling class often took necessary steps to contain such situations at least as a form of charity. To summarize, the deindustrialization of India by the British beginning in the late eighteenth century was completed in the nineteenth century and was slowly reversed by the twentieth. The British extracted approximately £18,000,000 each year between 1765 and 1815 degrading the once great lands to a mere cash cow. The British ran three major types of revenue systems: Zamindari in Eastern India & Madras, ryotwari in most of the south and north and Mahalwari in western India. The introduction of the system of permanent settlement meant that tax was charged not with the traditional basis of a share of crops produced but by a percentage of rent paid on their land thus establishing a permanent flow of wealth for the Britain. Such a system also meant that even if the crop failed, he would still be liable to pay tax which often led to non-payment. This taxation policy forced almost two-thirds of the population to flee from the regions administered by the British as defaulters were often tortured to pay up, caged or their land confiscated. Within a period of 30 years, the land revenue collected from Bengal alone went up from £817,553 to £2,680,000 as they increased the tax percentage from time to time. It is evident from these facts that India paid for its oppression. The author has brilliantly quoted those British officials itself to make the readers understand and authenticate his very arguments of the horrors of the colonial period. Later diamonds like the Pitt Diamond, Kohinoor was added to the list of properties they acquired often making these officials of East India Company richer than the majority of the princes in Europe. It was this economic boom from the colonial exploits that permanently reshaped British politics and the societies structure bringing in new customs, manners, and practices. The government of the Earl of Chatham tried to assert parliamentary supremacy over the company but failed as many MP’s were in fact shareholders of the East India Company. This sinful partnership further boosted the economic drain by passing a favorable law for the company in the British Parliament. Tharoor also quotes a British administrator in Bengal, F.J. Shore to picture the life of common man in regions under British control was worse than in princely states. The British policies like Subsidiary Alliances which is more like an imperial version of ‘protection money' practiced by the Mafia depict that the Britisher's shrewdness and greed for wealth. By the end of the nineteenth century, various policies enacted by the company forced India to be Britain’s biggest source of revenue, world’s biggest purchaser of British exports and the source of highly paid employment for British civil servants and soldiers all at India’s own expense. Mr. Tharoor in the second chapter decides to squash the arguments of apologists that the British were the key factor that united India as a nation; to this, he argues that no country would have to be exploited for over 200 years to attain a political unity which the Mughals had already achieved to a great extent. Tharoor paints a clear picture on how the British destroyed the traditional political situations of India such as the village self-governance and replacing native princes with a centrally administer government. He also argues that instead of unifying India, British sowed the seeds for communal politics through their divide and rule policy to meet their ends which later teared up the nations into two countries in which one was founded on the basis of religion. He also throws light to the lack of initiative taken by the British to unite the territories administered by the various kings which were done by the interim government led by Nehru. The divide and rule policy of British in India continue to impact the political, social and economic life in the country even to this day. Apart from these direct impacts several other factors also prove that British only intention was financial gains rather than achieving a united India. Some of these are the practice of Imperial racism where dual standards were maintained even by the so called unbiased judicial system. The systematic deinstitutionalization of the traditional governance was replaced by a centralized British rule which had nothing “Indian” in them and thus did not represent the natives. Indians were initially not represented in the government, but later we realized that even with a representation the real power continued to remain in the hands of British. These factors slowly led the British to lose the support of the elite and educated Indians who initially supported the Raj due to the exclusion and suppression of Indian talent even at Imperial services which eventually led to the success in Swadeshi movement and later mass movements organized by Gandhi. Another argument is that British brought Democracy, the rule of law, parliamentary system, free press, etc. which wouldn’t have occurred without the assistance of the British. The author does a great job countering this argument by critically analyzing these concepts where democracy and parliamentary system was the rule of British representatives rather than the natives. Even though the concept of the rule of law existed it was hardly ever practiced, the judicial system remained racist as the crimes done by the whites was unintentional accidents whereas the natives were punished severely even for petty crimes. The press was censored heavily, and the editors were arrested, and the press seized whenever they attempted to criticize the acts of the government. But even with these harsh restriction on the vernacular press, it was well utilized by the Congress in playing a very crucial role in educating the masses regarding the British policies and informing them regarding the developments around the world. So to summarize this free press existed in Britain but was, in reality, was scrutinized by the government under Censorship of the Press Act of 1799. 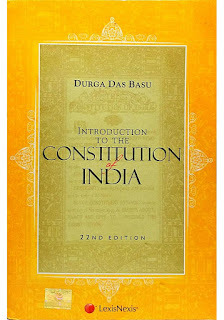 The author even goes on to bring the Indian Penal Code under the microscope certain sections such as seditions, section 377 itself violates fundamental rights such as the right to life and liberty, the prohibition against discrimination, equality of law, etc. which are practiced to date are few of the many that outlived colonialism. It has been a tendency of many Anglophile Indians to see the British rule was essentially a version of the enlightened despotism which characterized the Enlightenment of the eighteenth and nineteenth century. To this, the author throws light to certain events such as famines, forced emigration of Indian labors, etc. He argues that the famines that occurred during the British were essentially caused by British itself as even when people died due to lack of basic food India (administered by British of course) continued to export millions of tons of wheat. He even lists all major famines where these families took more toll than what war did over 100 years. On a positive note famines combined with the failure of British in governance became an important area of political contestation which rallied the Indian nationalist leaders. Tharoor also explains how the British attempted to defend their non-intervention in famines using doctrines of free trade, Malthusian and financial prudence in British Parliament. He also talks about the forced emigration of Indian labors to other destinations for working in British plantations. Tharoor also reminds us of the reign of terror of General Dyer and the Jallianwala Bagh incident where the British rewarded the killer rather than disciplinary actions. In this chapter, Tharoor goes on to prove that British rule in India was and has always been for the financial gains rather than anything else. He establishes this by examining the cases of The Great Indian Railway itself which the British argued was their gift to India. The large-scale foreign investment with the highest & assured returns for Britons. These practices led to the construction of a mile of rail at an average cost of £18,000 whereas it cost only £2000 at the same time in the US. Plainly speaking Indian Railways was one of the biggest colonial scams where the passengers had to pay more to compensate the much lower freight tariffs. Discrimination in employment and the economic distortions were caused as the by-products of the development of railways in the country. British education policy wiped out the traditional education system such as pathshalas, madrasas, maktabs, etc. practiced in the region over the years. What severely impacted the education system is that there was rarely an education system that was affordable to the common masses to replace this traditional education system. British education fees system was unfamiliar to a country where education was considered as a service rather than a source of income generation. Tharoor also briefs us through Mill’s utilitarianism, the differences in Orientalists and Anglicists and the lack of interest in educating the masses as funds allocated for education (already of low priority) was at times diverted for other projects too. He quotes Durant words to conclude his argument regarding the education system “The responsibility of the British for India’s illiteracy seem to be beyond question.” Often Indian literature was considered to be poor and thus ignored by the British which helped them achieve superiority in the field of literature too. This way British not only colonialized the region but also the minds of the people pushing them into a stage of submissiveness. Apart from these impacts on educational system British development projects such as railways, tea & opium plantation cultivation, dam constructions severely impacted the ecology too by creating an imbalance, water scarcity, flooding of river basins, large-scale deforestation, etc. directly lead to the destruction of shelter for wild animals, tribals, etc. It is evident that these factors also led to drop in agriculture production due to water scarcity which triggered famines that starved and killed millions. Tharoor also talks about the accidental gift of cricket which developed to a great extent that Indian cricket team & BCCI now enjoy supremacy in Cricket and has been one of the factors that not only gave India a global player status but also united such a diverse population under a single sport. In this chapter, Shashi Tharoor summarizes his entire arguments by taking note of the positive and negatives of the British rule in India. The author acknowledges those Britons such as Arthur Cotton who have treated their subjects with compassion and respect. He accepts the fact that not every British official in India were rapacious, ignorant, racist and cruel and it would be wrong to generalize British was Brutish. Tharoor then talks about the Imperial pretensions using the 2014 YouGov poll results and Ferguson arguments that optimal allocation of resources through globalization was a product of British empire. The author then talks on the same from an Indian perspective on how British rule brought down one of the richest and most industrialized economies to being one of the poorest, most backward, illiterate & diseased societies in the world. He concludes the chapter with an excerpt from Henry Labouchere’s poem ‘The Brown Man’s Burden’ which encapsulated much of the wrongs of British imperialism. Mr. Tharoor in this chapter talks about how these developed nations tend to forget about the wrongs they have done during their colonial exploitations but yet brags on how they developed the world. Later he takes up a rather hot topic that I have debated so much on ‘Should the British return the Kohinoor diamond?’. This question was again in the spotlight when Trudeau apologized over Komagata Maru incident as a gesture of atonement. Regarding this case the startling statement of Solicitor General of India back in 2016 that the Kohinoor diamond was gifted to India and for the same reason India would therefore not seek its return plays a crucial role in this argument. But this is has been a far more complex issue as it would severely affect the diplomatic ties between the countries. He later talks about Gandhism, limitations and its role in the modern world. Mr. Tharoor then takes on the residual problems of colonialism that continue to take a toll even after decades like the India and Pakistan who have fought four bloody wars and continuous cross-border terrorism. It even has indirect effects on socioeconomic aspects too such as the political divide between the Muslims & Hindus, racism etc. This book is unique from the rest of books in Modern Indian history genre because of its style of narration; the author is focussing on the debate so much that he couldn't stick to the chronological narrative of events. It is this style of storytelling is a huge let down for some especially for students studying History or those who enjoy the chronological narrative of events. I enjoyed this narrative style & thus considering it as a drawback is unfair especially considering that the author warns about the same in the very beginning of the book. Tharoor insights on the policies practiced by the EIC and later by the British Parliament plays a crucial role which he connects very well to bring authenticity to his arguments. 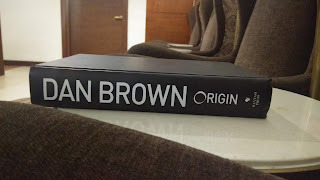 His voracious knowledge in the subject is evident from how he pinpoints particular facts which others would have failed to observe or use it as an argument along with a touch of humor makes this book an enjoyable read which is something history texts tend to lack. 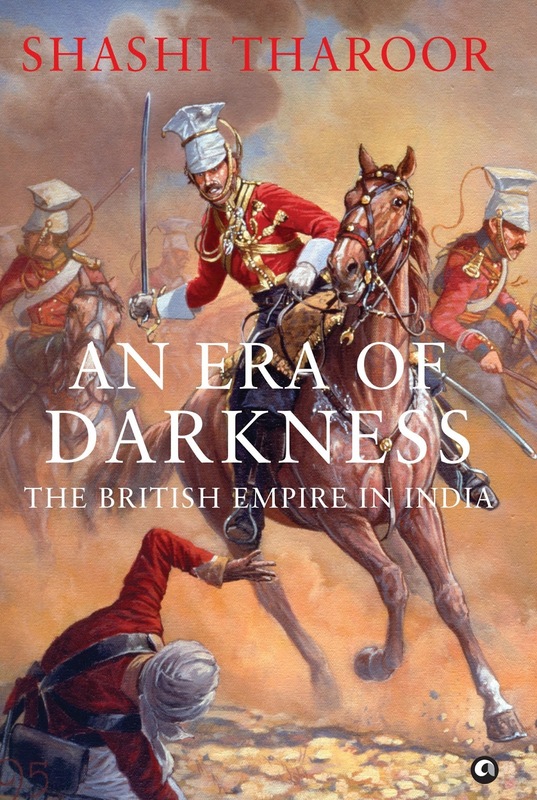 Overall, An Era of Darkness has been a fantastic read even after considering the limited application of the book because of the uniqueness in its style of narration & the arguments which crack every argument raised in favor of the colonial system. This is one such history read you won’t doze off while reading. Highly recommended.